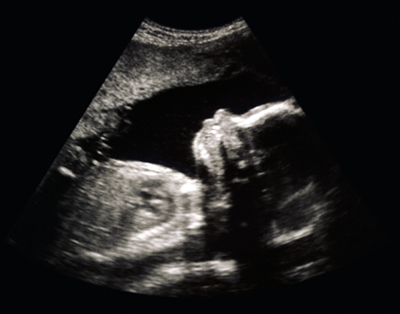 Some of the most fascinating theories of what causes autism focus on the womb. There’s the idea that the disorder stems from maternal flu exposure during pregnancy, for example, or from too much prenatal testosterone, or from not enough prenatal folate. The trouble is, for now these hypotheses leave us with more questions than answers. At what stage of pregnancy does a flu infection confer the most risk? Do these prenatal conditions lead to a range of developmental disorders, or specifically autism? How much does genetic predisposition come into play? On Tuesday, researchers from four U.S. institutions launched a huge study that sets out to unpack some of this complexity. The Early Autism Risk Longitudinal Investigation (EARLI) will follow 1,200 pregnant women who already have a child with autism. The researchers are collecting enormous amounts of data. They will gather blood and urine samples during pregnancy, and once the baby’s born, they’ll get tissue from the umbilical cord, placenta, and baby stool. They’ll collect more biological samples from the child, and test for language and developmental abilities, every few months until age 3. A few other longitudinal studies are also studying infant siblings of children with autism, to discover early behaviors that might be used to diagnose the disorder. But these data won’t reveal much about prenatal risk factors. Scandinavian medical registries hold loads of information about pregnancy complications and psychiatric diagnoses, and even samples of amniotic fluid. But the data are spotty and old, and weren’t necessarily collected to study autism. EARLI is measuring changes starting from the first days of pregnancy and looking specifically for measures that may be relevant to understanding autism. I’m eager to see what new associations the data pinpoint, and of course whether they back those previously proposed hypotheses. Preliminary analyses are slated for 2012.